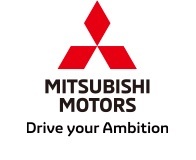 TOKYO, Nov 7, 2018 - (JCN Newswire) - Mitsubishi Motors Corporation (MMC) today announced its financial results for the first-half of FY2018 (from April 1 to September 30, 2018). Mitsubishi Motors reported net sales of 1,169.3 billion yen for the first-half of FY2018, up 23.4% compared to the same period a year ago, against a backdrop of strong global unit sales. Operating profit increased to 56.9 billion yen compared with 44.2 billion yen in the same period a year ago, representing an operating margin of 4.9%. The improvement was driven by unit sales growth combined with material and other cost reductions. Net income was 51.9 billion yen. Global sales volume for the first-half of FY2018 increased 19% year-on-year to 594,000 units. Volume in the ASEAN region increased 36% year-on-year to 152,000 units due to strong sales of the XPANDER, a next-generation crossover MPV, in Indonesia and the TRITON pick-up truck, predominantly in Thailand. We have also increased exports of the XPANDER after expanding production capacity in Indonesia. In the region of China and others, sales increased 19% year-on-year to 82,000 units, driven by strong performance of the locally produced Outlander. We also plan to launch the local production and distribution of the Eclipse Cross in China. In Europe, sales rose 29% year-on-year to 112,000 units, reflecting strong demand for the Eclipse Cross in Western Europe, as well as for the locally-produced Outlander in the region of Russia and others. Mitsubishi Motors forecasts for FY2018 are as shown below, reaffirming the figures filed with the Tokyo Stock Exchange in May 2018. Osamu Masuko, chief executive officer, said: "Despite the impact of natural disasters on production and shipments in Japan since June, the financial results for the first-half of the fiscal year were largely in line with our annual plan. Therefore, the Board of Directors has decided to pay an interim dividend of 10 yen per share as announced at the beginning of the fiscal year. Although we face various uncertainties in the global economy and from ongoing foreign currency fluctuations, we will focus relentlessly on achieving our forecasts in the second-half by boosting on global sales, predominantly in ASEAN, and unfailingly implementing cost reduction. "The business environment surrounding us, including the global economic and geopolitical situation, is changing rapidly every day. By paying attention and responding flexibly to the various risks that may affect Mitsubishi Motors, we will put our business on a path toward a full-scale recovery and establish the foundations for profitable and sustainable growth."